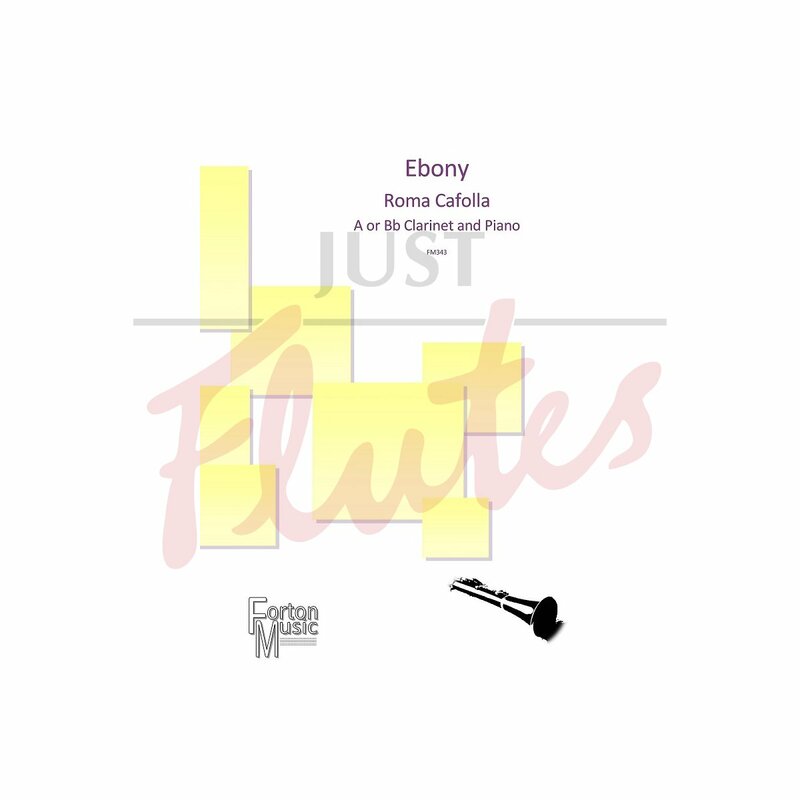 A or Bb Clarinet and Piano - Ebony The second movement of the first Clarinet Concerto, this has become a favourite with players and audiences. Its haunting lament-like melody and swooping virtuosic phrases were designed to show off the tonal control and virtuosity of Leslie Craven for whom it was written and who is considered by the composer to be the definitive interpreter of this beautiful work. Each of the phrases in the opening grows out of the previous thought. The middle section of flowing crotchets is embellished by semiquaver flourishes then after a brief pyrotechnical episode of heart searing coruscating demisemiquaver scales, returns to calm, finishing in a mood of totally serenity.